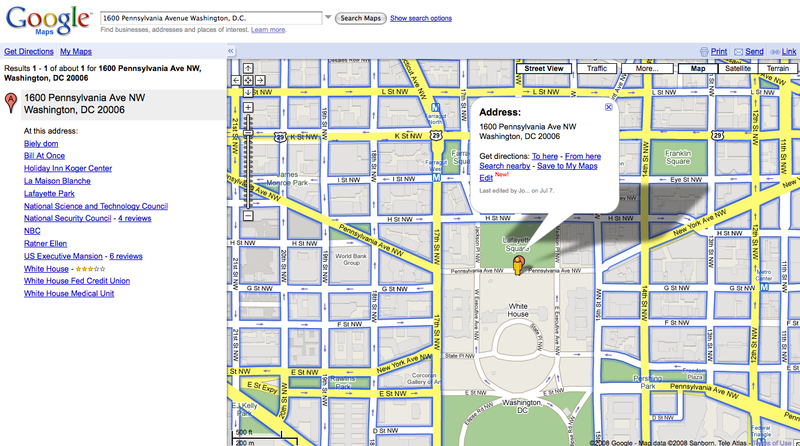 Washington D.C. now has Street View images available via Google Maps. 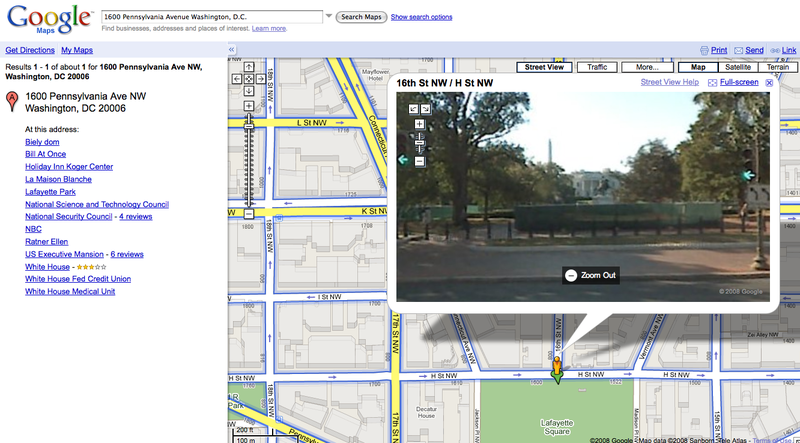 National landmarks including the Washington Monument, the Lincoln National Memorial, the Jefferson Memorial and even the White House are now visible from Google Maps Street View – albeit from afar. To see your favorite national landmark, search for the landmark or its address in Google Maps and click street view. Panning the camera angle will get the image and perspective you are looking for. National security interests prevent vehicles equipped with cameras from getting to close to the White House, so this Google Street View from several blocks away will have to do. 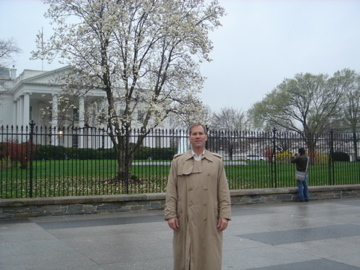 However, pedestrians can still have their photo taken in front of the White House. I was able to get this up close picture of the White House when I was in Washington D.C. earlier this year to give a search engine marketing presentation. The White House Washington D.C.